President Donald Trump is right: Russo-American relations are at their lowest point in decades, and this reality is mostly the fault of Trump’s post-Cold War presidential predecessors. Trump has made it his mission to rehabilitate the ailing relationship. I believe that the Trump administration is attempting to swing Moscow out of China’s nominal orbit (which it has been in since Russia’s 2014 annexation of Crimea) and back into the West’s camp. Further, Russia’s military might makes it a natural, regional counterbalance to the rapidly rising China. The recent spat between the West and Russia has pushed Russia away and into China’s camp – thereby securing China’s rise in Asia by removing Russia’s threat to China. Trump must play nice with Russia in order to flip Russia and better manage China’s seemingly inexorable rise. At the end of the Cold War, the United States and Russia had a relatively amicable relationship. Yet, by 2004, when the United States did its initial covert intervention in Ukraine (the so-called “Orange Revolution”), Vladimir Putin became convinced that the West was out to destroy his regime and minimize Russian power. In 2007, Putin went to the Munich security conference and delivered a vituperative speech denouncing American militarism in the Middle East and the “double-expansion” of NATO and the E.U. into Russia’s periphery. Less than a year thereafter, Russia invaded Georgia, and the Russo-American relationship all but collapsed in mutual loathing and recriminations. Upon the election of Barack Obama to the presidency in 2008, there was a warming of relations between the new government in Washington and Moscow. President Obama refused to replicate what he believed were the militaristic excesses of the former George W. Bush administration. So Obama reached out to Russia. Russia accepted his overtures. Unfortunately, the Obama era “reset” with Russia was less of a true reset and more of a unilateral surrender to Moscow. Obama’s New Strategic Arms Reduction Treaty (colloquially known as “New START”) limited the modernization of American nuclear arms (and the number of them) but allowed for Russia to modernize its nuclear arms. The treaty also “decimated [America’s] missile defense programs,” according to Larry Bell. Yet it did cool tensions. The Russian Far East is a sprawling part of the country that constitutes the bulk of its vital natural resources, yet it houses a fraction of its population. This vast territory abuts the world’s most populous, fastest growing natural resource-consumer in the world: China. David Goldman once said China views other countries as glorified protein to be consumed. This holds true in the Russian Far East. For 30 years, Chinese-born migrants have entered into the sparsely populated Russian Far East and began out-populating the native-born Russians. Inevitably, the Russian Far East will become a de facto part of China. Putin knows that this is happening. He is desperate to cling to his Asian holdings. Yet his ability to secure his vast borders is limited by a relatively small military. 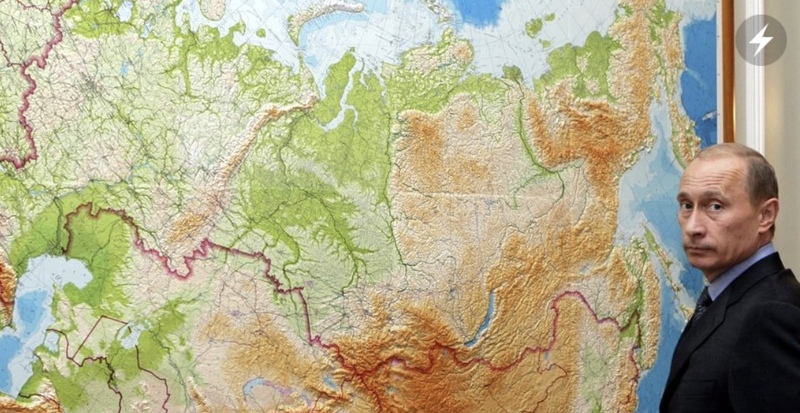 We know that Putin is intent on reinforcing the Russian Far East. Presently, Moscow is sending advanced K-300P Bastion-P and BAL mobile coastal defense systems to the Kurile Islands (which it has held since 1945, despite Japan’s claim). Unfortunately, Moscow cannot divert enough forces away from what the Russians perceive to be greater hotspots in Europe and the Middle East. With a defense budget of $51 billion for 2018, Moscow simply must choose whether to protect its vast, resource-rich Far East from China or to defend against what it perceives to be a hostile West with an advanced military (remember: the two most recent major invasions in Russian history – Napoleon’s and Hitler’s – came from the West). The Pacific Ocean is far more inviting (or should be) for a Russian national-imperialist such as Putin. It is home to some of the world’s most vibrant economies; the Pacific allows for Russia to build a heavier military presence in resource-rich areas (while also building up its defenses to protect the passages into Russia’s Arctic holdings – a key source of wealth for Russia). Continuing to obsess over Europe, or further enmeshing the ailing Russian Federation into the tribal politics of the Middle East, is not in Moscow’s long-term strategic interests. Washington must recognize this reality and create more amicable relations with Moscow. If it can, then Putin will complete his securitization of Russia’s troubled periphery. A lasting entente between the United States, Europe, and Russia would help to stabilize Russia’s western periphery. Together with the United States (and Israel), the Russians could pulverize the remaining terrorist strongholds in the Muslim world that buttresses Russia’s south. Then Russia could fully focus on complicating Chinese grand strategy by reinvigorating its position in the Far East. Such a move by the United States would fundamentally reconfigure what Zbigniew Brzezinski, the American geostrategist, used to call the “grand chessboard.” It would also permanently weaken and degrade the threat that China’s unchecked rise poses – not only to the United States and Asia, but to the world. For more thrilling content, head over to the American Thinker website directly!